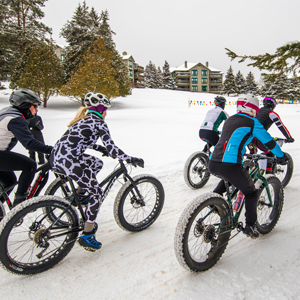 The Muskoka Winter Mountain Bike Festival is taking place on February 2nd at Deerhurst Resort in Huntsville. The event features a 11 km race course, a kids race, bonfire, live entertainment, beer tasting and food as well as other fun trails to ride. This family friendly event will welcome cycle enthusiasts from throughout Ontario and beyond. Ride all day and get special rates at Deerhurst Resort. For complete event details click here. Registration information can be found by clicking here.